New Jersey Sen. Cory Booker announced that he will be introducing a bill in Congress to take down Confederate statues in the Capitol as calls continue to grow for confederate monuments' removal across the U.S., in light of the violent Charlottesville clashes. "I will be introducing a bill to remove Confederate statues from the U.S. Capitol building. This is just one step. We have much work to do," the Democrat tweeted on Wednesday. 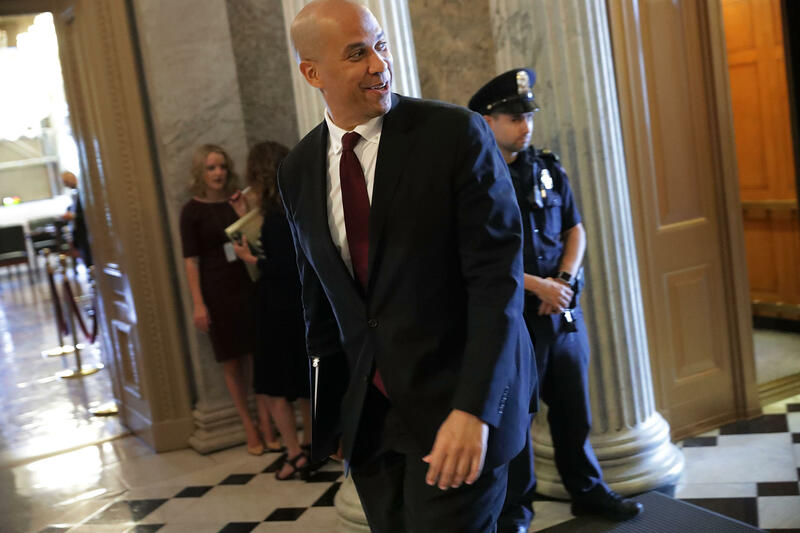 Booker went on to retweet followers' stories about Confederate monuments and statues in their own states, including one state's historical marker highlighting the 1873 Colfax massacre in Louisiana where 150 black men were killed by white Southern Democrats. "Most do not know of this tragic episode in American history and how it was rewritten by white supremacy," Booker wrote. Confederate statues erected in the U.S. Capitol currently stand in Statuary Hall, the Capitol Visitor Center and the Hall of Columns where visitors from across the country and lawmakers pass through every day. Meanwhile, Mr. Trump addressed the issue of taking down the monuments, tweeting Thursday morning, "Sad to see the history and culture of our great country being ripped apart with the removal of our beautiful statues and monuments." He added, "You can't change history, but you can learn from it. Robert E Lee, Stonewall Jackson - who's next, Washington, Jefferson? So foolish!" Mr. Trump went on, saying "the beauty that is being taken out of our cities, towns and parks will be greatly missed and never able to be comparably replaced!" States across the country have begun to respond similarly to Bookers call, taking down confederate monuments in their respective cities, including ones in North Carolina and Baltimore. Speaking on "CBS This Morning" on Thursday, Virginia Governor Terry McAuliffe called the statues "divisive symbols."